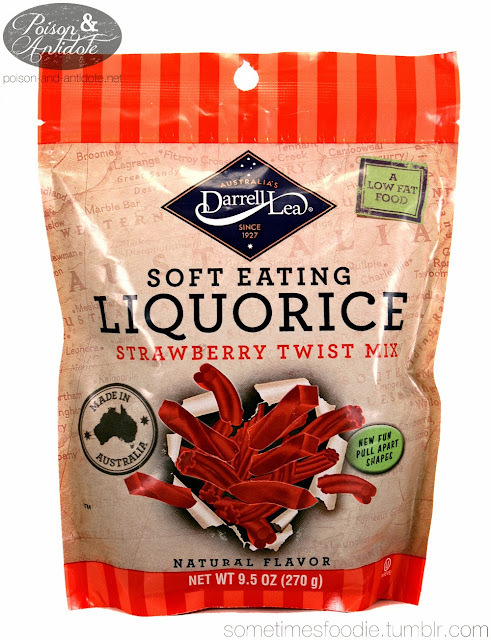 The packaging looks a lot like the traditional Darrell Lea liquorice bags, except the material feels a lot more like a plastic bag than a waxy textured paper. The plus side of this new packaging is that it has a resealable zip-lock style top. (Great for keeping the liquorice fresh.) I don’t mind the changes to the packaging, in fact this resealable option really improves the functionality while maintaining the textured look. 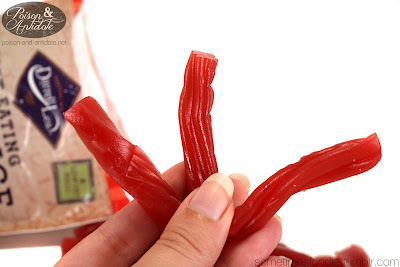 The candy smells a little like strawberry jam, or fruit leather, with a soft waxy bite. 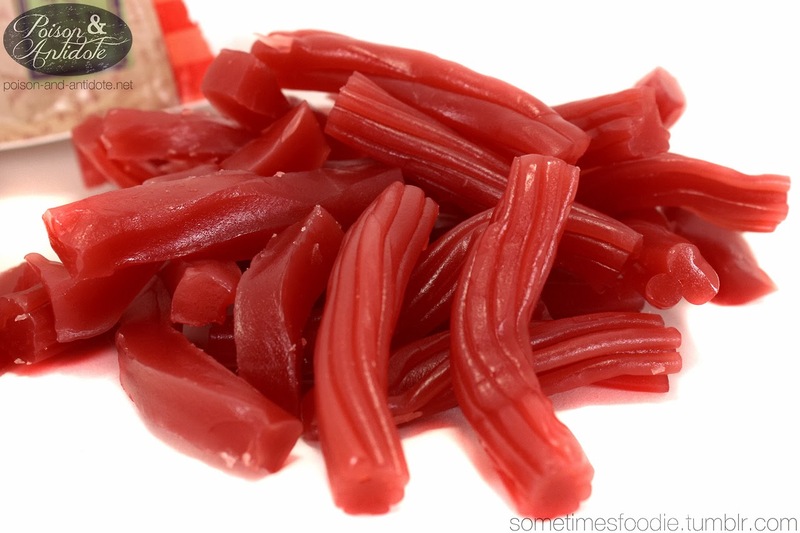 The flavor isn’t quite like biting into an actual strawberry but it is much closer to the real thing than Twizzlers or Red Vines. Inside the bag there seem to be basic shapes. 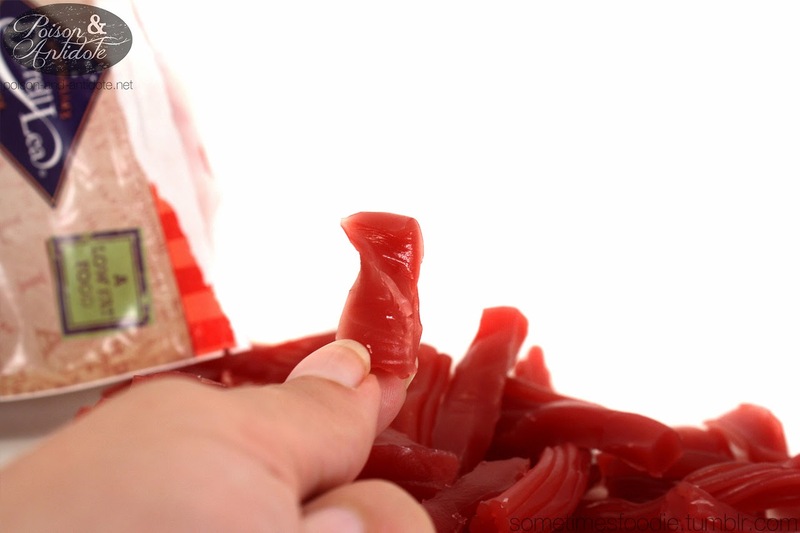 The shapes were very soft and easy to eat, but pull apart? Not really. Only the really thick shapes were easily pulled apart. Everything else would just tear away in bits and pieces. While this isn’t a very successful pull apart candy, it is really fruity and delicious. 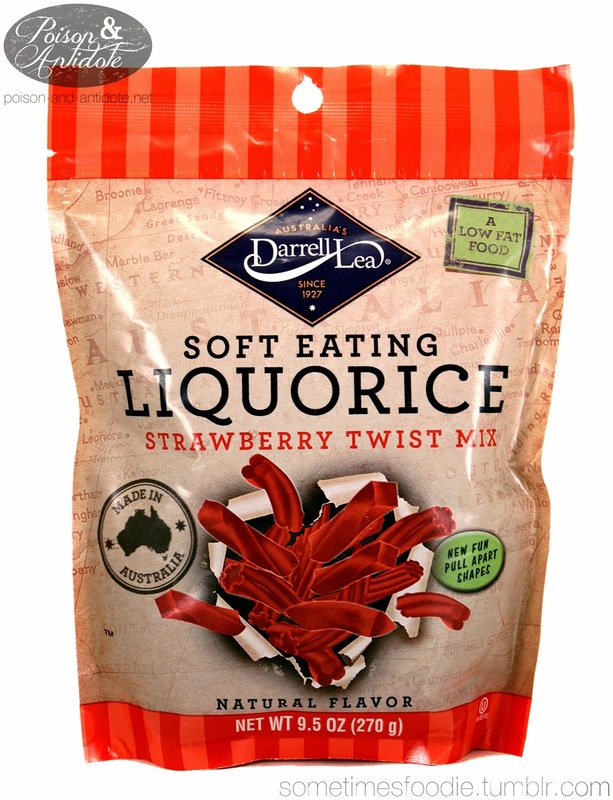 Even if you HATE liquorice, you really need to give this a try.